Thomas Affleck was born on 13 July 1812 in Dumfriesshire, Scotland. He married Anna Dunbar, daughter of Isaac Dunbar and Unknown (? ), on 19 April 1842 in Washington County, Mississippi. 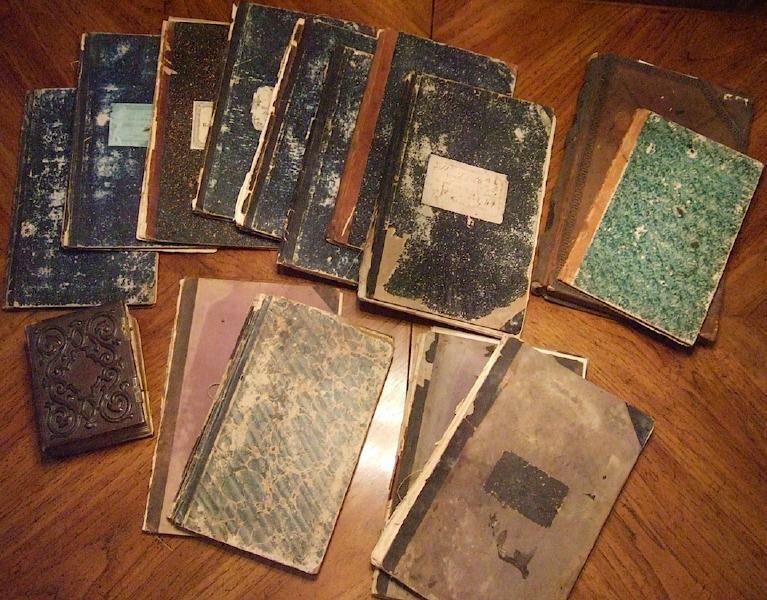 From the late 1840s until the mid-1860s, Thomas Affleck published a Cotton Plantation Record and Account Book, in which Green Wood kept, in his own hand, his daily plantation records from 1850 to 1863, eleven volumes of which are still in existence today. It appears that agricultural practices at Greenwood were heavily influenced by Thomas Affleck's teachings: horizontal trenching and plowing to conserve and distribute available moisture and control erosion, soil amendment, crop rotation, and the like. Thomas Affleck and Anna Dunbar appeared in the US federal census of 1 June 1850 in Adams County, Mississippi. Other members of the household included Calvin S. Smith, Thomas A. Affleck and Isaac Dunbar Affleck. He was a nurseryman &c, according to the 1850 census. On Friday, 18 May 1855, Green Wood recorded in his plantation daily account book: "Mr. T. Affleck and Familey came this evening," and on Tuesday, the 22nd, "Mr. Affleck and Familey left this morning." The following appeared on 30 June 1855 in the Texas Gazette, in a classified advertisement for Affleck's Mississippi nursery: During a recent trip through a large portion of Texas, he fully satisfied himself that that noble State is, generally well adapted to fruit-growing. . . .
On 9 August 1855, Thomas Affleck wrote to Charles Bellinger Tate Stewart: "My Dear Sir: I have had yours of the 16th ult. before me for some days. But I am so busy! No news yet of Charley & Alfred. I begin to feel impatient. Yet it is a long & a rough route. . . . I believe I can find you a customer & perhaps a cash one, for your Montgomery farm. Are you willing I should make a penny by the operation if I can? I have had already two days infliction of a proposed buyer; & every day I have visitors, wanting information of Texas! I can influence hundreds! . . . With kind regards of Mrs. A. to yourself & Mrs. S."
Addressed from Washington, Mississippi, to Danville, Texas. Transcription held at the Cushing Library, Texas A&M University, original collection at Louisiana State University, Baton Rouge. On 5 September 1855, Thomas Affleck wrote to Charles Bellinger Tate Stewart: "My Dear Sir: Yr two favors of 21st Augt. are to hand this morning. What a time it takes! I have made up my mind to go through myself with the gentleman I expect to sell yr farm to; leaving here about the 15th. I am sending out some hands to prepare for young nursery stock upon my place, & will be going round, about the 5th proxo., by Galveston &c; but this Mr. Case was going about the 5th (today) & I determined to hold on to him, if he would wait till 15th, which he had agreed to. Another friend goes with him. Mr. Case is a young Lawyer, who married a rich widow, an excellent woman. He has determined to remove to Texas, & has cash to buy with. He wants to be near to town where he can purchase, and she when she can have society & supply the markets with . . . [illegible]. . . . Charley is well & enjoying himself. He writes you today. I am very busy & must close for the present." Charles W. Stewart attended Oakland College near Lorman, in Claiborne County, Mississippi, about 30 miles northeast of Ingleside, near Washington, Adams County, where Thomas Affleck lived and operated Southern Nurseries. On 28 January 1856, Thomas Affleck wrote to Charles Bellinger Tate Stewart: "My Dr Sir: I read yours of 15th inst. with extreme regret. But of course having nothing farther to say. We all like Charley. I would do anything in my power to advance him. Never heard him speak or hint the slightest disrespect of want of affection to you or yours. He seems oppressed, at times, with a feeling that he is alone in the world--but never speaks of it. I sent your letter to Charley. Told him to let me know how he was off for friends &c. before he left the college. His fees are paid to 1st May. It is a pity he could not have remained till then. How is he to travel? By what route? Has he funds? I urge him to obey you, strictly. But, at same time, I cannot see the boy start out without a dollar. I wait your reply more clear & connected than yr last. The trees for Col. Yokkum & Col. Wade, were addressed precisely as the order dictated me to do. They were entirely protected from the weather. We are all so-so, during this unprecedentedly cold winter. Almost frozen up!" In a letter dated 14 February 1856 to Green Wood in Danville, Texas, Thomas Affleck wrote from Washington County, Mississippi: My Dear Sir: Mrs. A. has just handed me Mrs. Wood's letter to her, with P.S. by yourself to me. I leave to Mrs. A. all but needs business as I am very busy. If you think that the sows could be driven, on foot not hauled--please write to Mr. Gerard to effect. Write in English--he can read it. I will also write to him today, & tell him he will hear from (you) & if you think they can travel, to go over at once, with a hand, & drive them home. I am extremely anxious to get a dozen of the first young in-pig sows you can spare--& one young boar till I can send out one as a cross-over on my place now. Hence my urgency. When you let me know their cost, I will place the amount to your credit in N. O. or remit you, as you may direct. With kindest regards to all. On 12 April 1856, Thomas Affleck wrote to Charles Bellinger Tate Stewart: "My Dear Sir: I am some several letters in your debt. Amongst others, I owe you acknowledgement of $35. (thirty five dollars) to my credit with James Sorley, for Charlie's use. . . . Charley started--I forget the date--for So. Ca. But as $35. would not nearly pay his travelling expenses; & as he was absolutely in need of some clothes, & had had to incur some expenses arising from a pretty severe spell of sickness, I was forced to exceed what, I presume, would have been your wishes on the subject. After saving him every expense and outlay in my power, I had to exceed the amount in hand, including the $35, in all $55. But for business, & adding $15. to the amot. you sent ($35.) to pay his expenses, the amount for clothing, absolutely needful, shoes &c. wd. not have been great. I am perfectly aware of your expressed wishes--but I cold not see the lad suffer--& so let it rest. Although I do not approve of Charlie's conduct in writing the letters you speak of, & in other things of which I have since informed myself; but still I like Charley, & could have made an useful man of him, if you could have left him with me. As to your idea of his position in my family--why, Doctor, I thought you knew me & mine better. Charley has been, in no respect, treated otherwise than if he had been mine own. Your expressed idea on that [he had] hurt me, Dr. . . ."
During the 1850s Thomas Affleck developed a tripod-mounted level for agricultural use, apparently similar to a surveying instrument. Based on his correspondence, it appears that very few ever were made, owing to his dissatisfaction with the quality of the prototype instruments and disagreements with the fabricators. On Monday, 22 December 1856, Green Wood recorded in his plantation daily account book: "Wm B. Wood laying off field next to pasture for Horizontal rows with the Afleck level, two plows running off after him," and on the following day, "Wm B. Wood still laying off the Big field next the pasture with the Afleck level." On a blank page in Book 9, Green Wood recorded: "February 6th 1857, Mr. J. S. Collard measured last years New ground Field 100-6/10 Acres including the nuke or corner next to Graham's. Wm B. Wood Finished laying the same field off in Horizontal ditches and rows, used the Afflect Level." 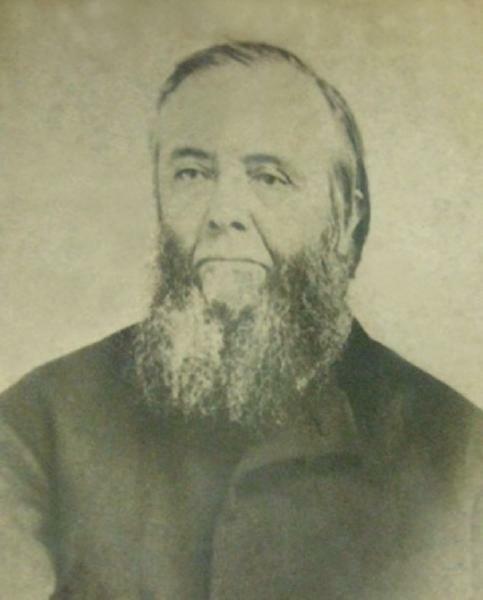 Thomas Affleck purchased property from Samuel May Williams and established his new plantation Glenblythe in Washington County, near Brenham, about 1858. On Tuesday, 9 March 1858, Green Wood recorded in his plantation daily account book: "Planted Japan Potatoe Tubers sent by Mr Affleck." On Wednesday, 2 February 1859, Green Wood recorded in his plantation daily account book: "Wm B. Wood laid off by the Level Horizontal rows & grade ditches." Thomas Affleck and Anna Dunbar appeared in the US federal census of 1 June 1860 in near Gay Hill, Washington County, Texas. Other members of the household included Isaac Dunbar Affleck and John Affleck. He was a farmer, according to the 1860 census. On Wednesday, 28 November 1860, Green Wood recorded in his plantation daily account book: "Mr Affleck came this morning, moving his Negros." On Monday, 17 July 1865, Green Wood recorded in his plantation daily account book: "Sent Bob to Mr. Affleck's with 32 bushels wheat," and on Saturday, 12 August, "Bob got home from Mr. Affleck's Mill; left three weeks last Monday 17th July, waiting for the mill to be fixed." During the 1860s the Texas Land, Labor and Immigration Company was formed under an Executive committee with Thomas Affleck of Washington County as the general chairman. Agents operated south of France very successfully; others in Scotland and England. Offers were made in Poland, Holland and Belgium. Mr. Affleck crossed the ocean in December 1865, to see how matters stood in Europe, and on his way through the North, published letters calling attention to Texas. Following the Civil War, when plantation owners needed a labor force after emancipation of the African American slaves, some cotton planters met on 19 September 1866 and organized the Waverly Emigration Society. C. T. Traylor was elected President and Colonel H. M. Elmore was elected secretary of this society. They met in a general store in Waverly, Walker (later San Jacinto) County, Texas, owned by James Meyer Levy, a Polish Jew. Mr. Levy voyaged to his homeland in 1867 and recruited laborers from his home village of Exin (today known as Kcynia), Slupy, Smogulec, Szubin and the surrounding areas in Poland. Correspondence reviewed in the John W. Hill Papers at the Center for American History in Austin indicates that Mr. Levy arrived in New York in April of 1867, and passenger records confirm their arrival in New York on 9 April 1867 aboard the steamship City of Antwerp. On 13 April 1867, Mr. Levy notified W. W. McGar in Galveston that he needed funds to complete his journey to Texas. Ten days later, 29 families arrived in Galveston aboard the C. W. Lord, a coastal steamer from New York, as reported in the Galveston Daily News. Funds in the amount of $169 were remitted to the teamsters in Houston for passage of the immigrants to Houston, and it is believed that they then journeyed to Waverly, the cradle of Polish Emigration for Southeast Texas. Adapted from "Polish Texans," accessed online at the Polish Genealogical Society of Texas website. Thomas Affleck died on 30 December 1868 at age 56 in near Brenham, Washington County, Texas, at Glenblythe plantation. His wife Anna Dunbar became a widow at his death. The following appeared on 5 January 1869 in the Galveston Daily News: Never have we been more shocked than to hear of the sudden death of our much-esteemed friend, Mr. Thomas Affleck. But a few days since he left us to join his family for the purpose of spending with them the Christmas holidays. He left in his usual remarkably good health, with every promise that Texas would have the benefit of his valuable labors for many years to come. We give the following tribute to hsi memory from one who has long known him, and knew him to appreciate his indomitable enterprise and many valuable contributions to promote the welfare and prosperity of his adopted State. The funeral of Mr. Affleck took place near Brenham, at 11 A. M. on the 1st inst. Brenham, (Tex.) Dec. 31, 1868. I was shocked at the accidental meeting of the printed funeral notice of the death of Mr. Affleck; and in common with many thousands who may read it, do most profoundly regret this sudden calamity which has fallen upon his family, and the great public of the Southwest. Few, indeed, among our many cultured and highly educated men have so long and so actively devoted themselves to matters of public utility; and with pen and practice of precept, so impressed their thought, theories, and experiences upon the industry and progress of the times. In these respects Thomas Affleck was a public benefactor. His specialty was Horticulture; but he spread his knowledge and practice in all directions round his profession, and was profuse in his information, and instructive in his conversations and his writings on many of the connate branches of science and industry. I cannot now attempt a biographic notice of Mr. Affleck; but I know that such a paper, prepared by a competent hand, would be instructive to his many readers, and would be but justice to the memory of a man of mark in his day and generation. Mr. Affleck was a Scotchman by birth and rearing, but has spent nearly all the years of his manhood in the United States, and near thirty years in Mississippi. He was interred at the Affleck family cemetery, Washington County, Texas. A single grave marker identifies the graves of Thomas Affleck and Anna Dunbar. For additional biographical information, see The Handbook of Texas Online. And for a description of Glenblythe Plantation, see The Handbook of Texas Online.